Finding toys these days for TJ is becoming more difficult. 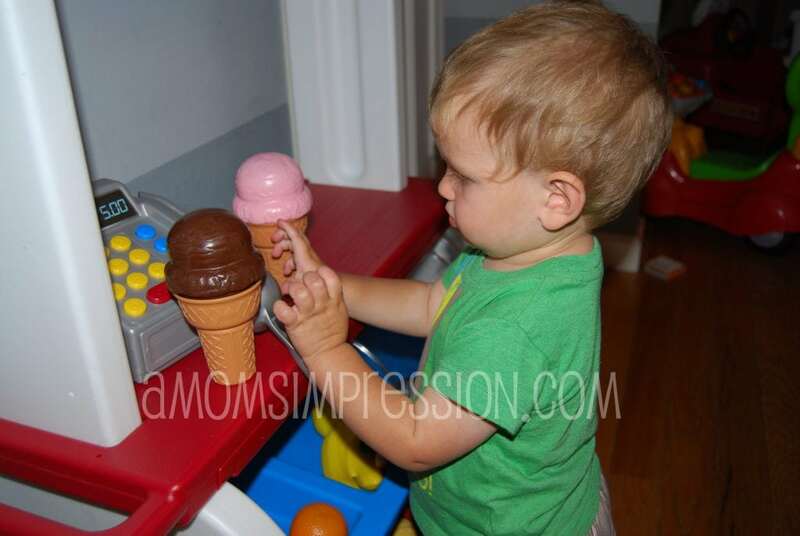 I can always get him a car or a ball and he will be happy but I want him to engage his imagination and pretend play. 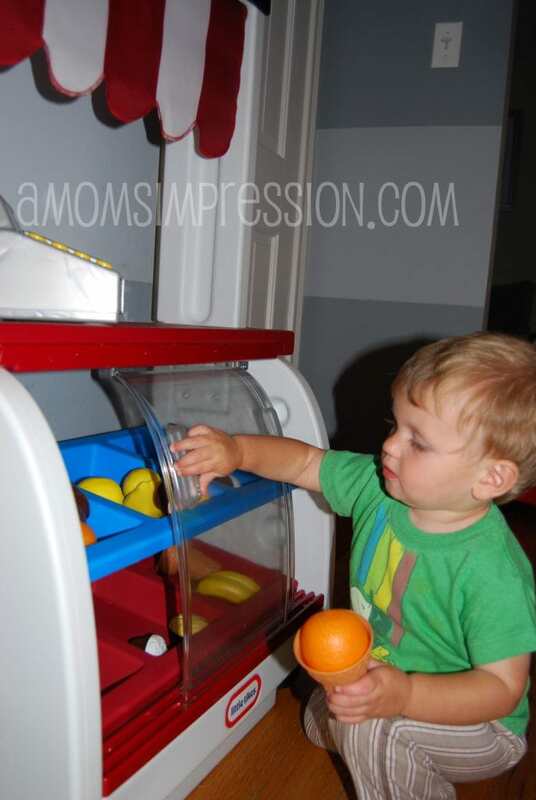 We were recently asked to review the Little Tikes Neighborhood Market, and I was really excited because it looked like the perfect toy to inspire imaginative play. 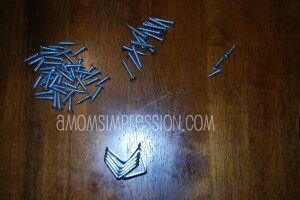 This particular product from Little Tikes has a lot of screws. I highly suggest separating them into piles before you start assembling. I stopped there because I realized I put the tall white pieces on backwards (because the boys were trying to climb it). It was an easy fix, however, after I took the much needed mommy break. Here it is all put together! My husband was impressed when he got home, he is usually the one who has to put everything together. 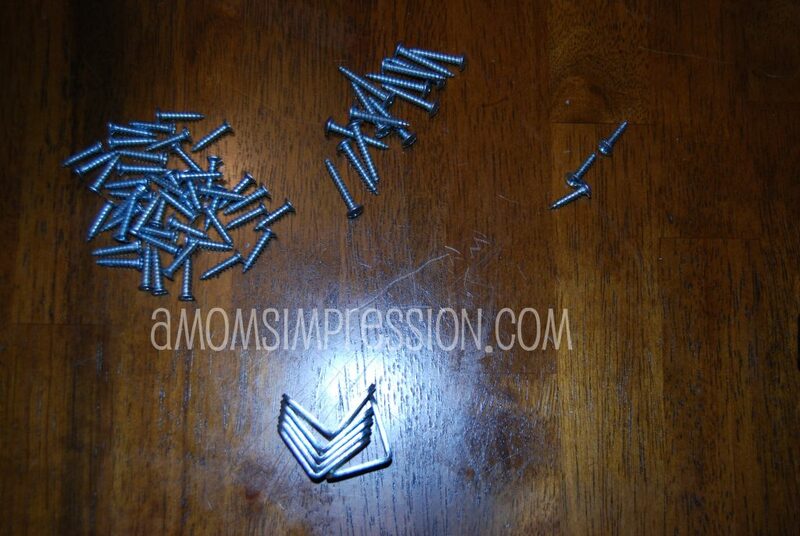 I thought it was pretty easy, but there are a lot of screws to put in. Give yourself some time. The sliding doors make the market very realistic and fun for TJ. However, beware… TJ has figured out how to remove the doors and thinks its a lot of fun to take them out and demand that mommy or daddy puts them back in, over and over again! I am sure this won’t be an issue for older children. We love that you can personalize the marque with your child’s name. I didn’t have any chalk lying around or I would have put his name on it. 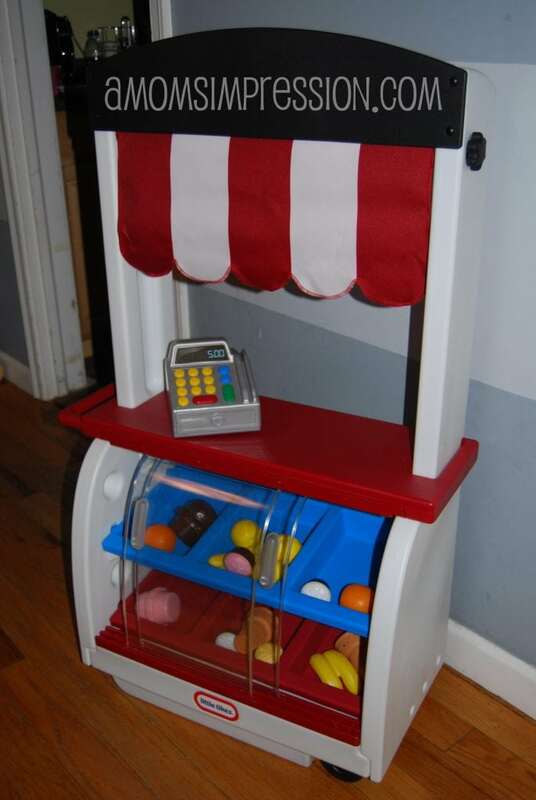 The assortment of play items makes it easy to transform the market into a bakery or an ice cream shop! TJ loves the cash registar and the play money. 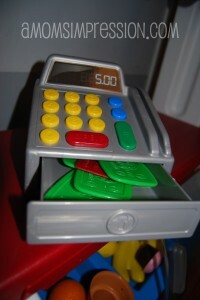 I have even taught him how to swipe the pretend credit card! The market also features an awning that TJ loves to pull down and real up! He loves to play peak-a-boo from behind the curtain. 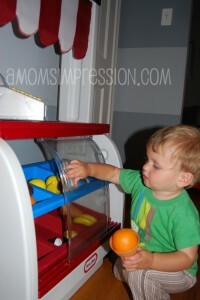 The Little Tikes Neighborhood Market is a very fun and engaging toy for children. I feel like my 5 year-old-niece, my 2 year-old nephew and my 18 month-old son can all play with the market and be entertained for a while. I also love the diversity of the market and how it can change into several different things. I appreciate this as a mom because I know that this toy will appeal to my child for a while and he won’t get tired of playing with it. He can even use it as his first lemonade stand in a few years! 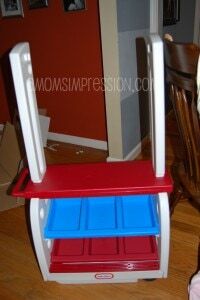 The construction is durable and it is from Little Tikes so I know it will hold up for years to come! I do wish it came with more food accessories because now I am going to have to buy some to fill up the shelves, but overall I highly recommend the market! You can purchase Little Tikes toys at major retailers everywhere, or you can purchase them at littletikes.com. Visit Little Tikes and tell me your favorite toy from their collection. Open to US and Canada residents only. This giveaway will end at midnight on November 10. Winner will be picked from Random.org. Good Luck! 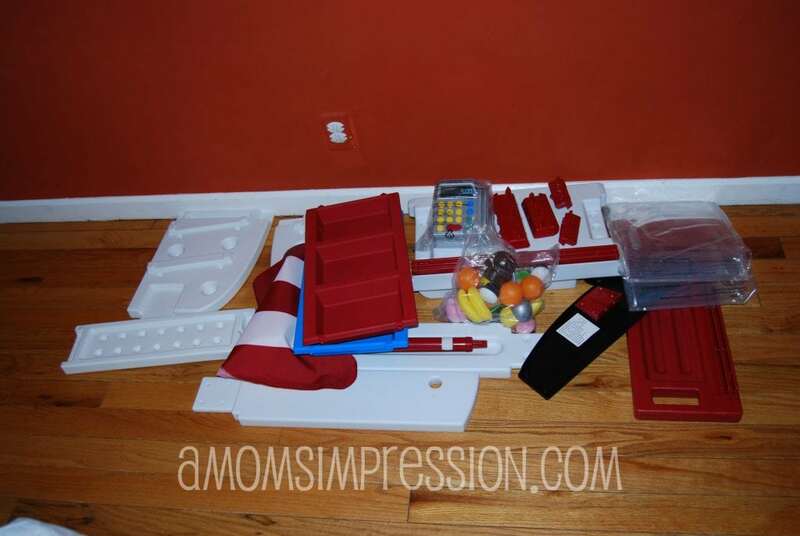 This product review was made possible by Little Tikes. I was not compensated for this review other than a product sample. All opinions are 100% mine. I like the Princess Cozy Coupe® 30th Anniversary Edition and the Giddyup N’ Go™ Pony! I love the Princess Cozy Shopping Cart ! I like A Mom’s Impression on FB- Nicole Krebs Balogh. I like Little Tikes on FB- Nicole Krebs Balogh. I subscribe to the Little Tikes newsletter. I am a fan of their Cozy coupe. I have had a couple pass through here and they are always fun with the wee ones.! I would love to get their Wooden Kitchen for my Wee one. We love wooden toys areound here and it’s so nice to see one of my favorite companies manufactuing them now. I follow lottle tikes on Facebook Julia G.
We love the LT Sand Turtle. Need to replace ours, actually, as it finally bit the dust. Pun intended. I also like the Classic Alligator Teeter Totter! A Mom’s Impression Facebook Fan. A Little Tikes Facebook Fan. I’m signed up for Little Tikes Newsletter. My grandson loves the Swirlin Sawdust Workshop, he pretends to be like Pawpaw. I love the Double Easel! I subscribe to A Mom’s Impression by Email 1. I subscribe to A Mom’s Impression by Email 2. I like the Classic Castle. I love this Backyard Barbeque™ Get Out ‘n’ Grill Bundle, I could see it outside, near the adult BBQ so that my daughter could “cook” with daddy 😉 she would love that! to sweet! I like the Double Easel. I love their deluxe ride in comfort wagon with umbrella! We’ve had our eye on the outdoor castle… so fun! I follow Little Tikes on Facebook. fb fan of little tikes. amy bolda pugmire. subscribe to little tikes newsletter. I like the Teeter Ball™ . Both my kids would have fun with that! I am signed up for the Little Tikes Newsletter! I’m following you on twitter and sent tweet. I’m a facebook fan of A Mom’s Impression. I’m a facebook fan of Little Tikes. I subscribe to Little Tikes newsletter. I like the Racing Tire Toy Chest. My son loves anything car related. I have always loved their toys but I think their “Giant Toy Chest Pink ” is my favorite item. I am now following Little Tikes on Facebook. I am now signed up for the Little Tikes newsletter. I am signed up to receive your emails #2. Oops! Sorry. I must have done something wrong for the comment above to show up here. Please delete it. I also love the Little Tikes Xylophone. I’m an email subscriber, which is how I discovered this giveaway (entry #1). My favorite is the Spray & Rescue Fire Truck. Love the Little Tikes endless adventures swingset! I like the Sizzle and Serve Kitchen. I’d love to get some of the classic waffle blocks for my kids – I used to have those when I was little! I like the Backyard Barbeque Get Out n’ Grill, i think my kids would have fun with that. I LOVE the turtle sandbox!! I also like the “Shady Jump ‘N Slide Bouncer”. They have so many great toys…but the Backyard Barbeque™ Get Out ‘n’ Grill looks really neat! I also really like the Classic Pickup Truck! I subscribe to your blog by email 1/2. I signed up for Little Tikes newsletter. I love the turtle sandbox, classic! My favorite is the Picnic on the Patio™ Playhouse. My granddaughter would love the Cozy Pumper as well. My favorite toy from the Little Tikes website is the Spray & Rescue Fire Truck. I posted on your Crest Pro-Health Complete Rinse post. Love the Shady Jump ‘N Slide Bouncer!! I like the Deluxe Wooden Kitchen & Laundry Center. I’d really like to get both my daughters a “Shopping Cart -Pink”. It would be the perfect thing to add to the “Neighborhood Market”, if we won of course. Thanks so much for a chance! I like the Tikes Patrol™ Police Car. I love the Deluxe Wooden Kitchen & Laundry Center! i like thier PINK 40th anniversary cozy coupe! The Backyard Barbeque™ Get Out ‘n’ Grill is realy cute. I meant really in previous comment. The Classic Alligator Teeter Totter looks fun! The Deluxe Wooden Kitchen & Laundry Center is pretty awesome! Following Little Tikes on Facebook. I signed up for the Little Tikes newsletter. Love the Classic Castle! Perfect for my little princess! I just commented on your red velvet cake post! Yummo!! I like the Prep & Serve Kitchen for little girls! Follow Little Tikes on Facebook! Signed up for Little Tikes Newsletter! Follow A Moms Impression on Facebook! i love their prep ‘n serve kitchen! I love their cozy coupes! I like the Makin’ Mud Pies set. I love their Anchors away Pirate Ship. ah what a cute little market!! great giveaway,thanks! my fav toy on their site has to be the fold up and go train set!!! cook and grill kitchen looks fun! I love the Big Waffle Blocks! Follow Little Tikes on FB! I love the Rock & Scoot™ Zebra. I just love the Neighborhood Market! It really is my favorite I know my son would have hours of enjoyment. I like the Big Waffle Blocks in the Preschool Toy Collection. I LIKE you on facebook – I’m victoria lester on fb. I love the Log Cabin! How cute! I like the classic pick up truck. I like the Log Cabin. This market is great. 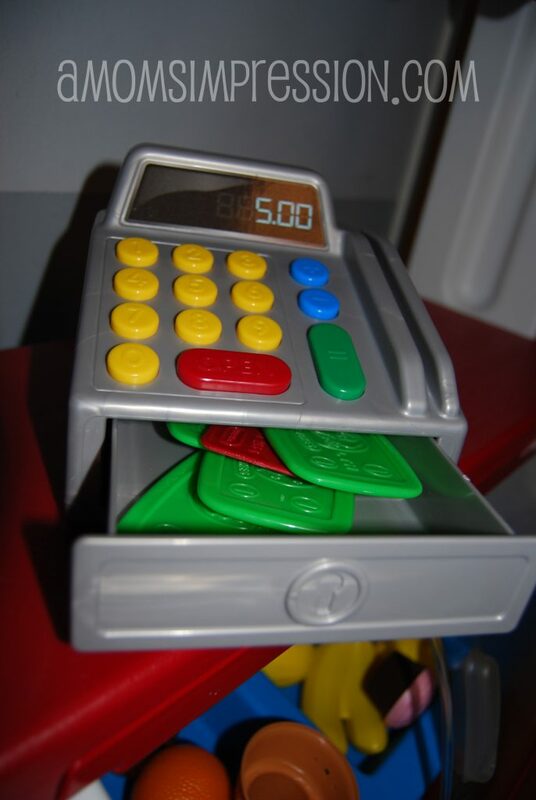 I can see my kids playing with this for hours! I love the durability of LIttle Tikes. The BBQ set is great. I also like the engine/workbench. Thanks for the chance to win this giveaway! I Like Little Tykes on Facebook! i JUST LOVE THE CLASSIS PICK UP TRUCK ITS TOO ADORABLE! lawnadaryl Win a Little Tikes Neighborhood Market @AMomsImpression http://wyn.cc/nrm3r …i followed you on twitter and tweeted..also joined you on fb and lil tykes on fb also joined the lil tykes newsletter and signed up to your email. Thanks! I like the DiscoverSounds® Kitchen. I Follow A Mom’s Impression on Facebook.. I Follow Little Tikes on Facebook.. I signed up for the Little Tikes Newsletter.. I subscribe to your newsletters.. They have way too many awesome toys to choose from. I know my daughter would love this little market! 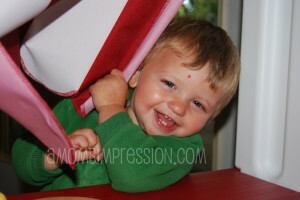 I commented on your post about the Indy Baby and Toddler Expo Presented by Bebe Paluzza.. I like the Classic Pickup Truch – my son would love that. Great giveaway. I’d love to get the Spray & Rescue Fire Truck for my nephew! Sizzle & Serve Kitchen is my fave for my 2 boys! The 6-in-1 Town Center Playhouse at Little Tikes is my favorite. We have the 6-in-1 Town Center Playhouse on our big wish list along with a wagon. I love the Classic Table and Chairs Set. I love the Cozy Coupe- both my kids love it! I love the Giant Waffle Blocks. I would absolutely LOVE to have the 6-in-1 Town Center Playhouse for my daughter!! It’s so COOL!! my favorite toy has always been and will always be the cozy coupe. signed up for the little tikes newsletter. became a fan of little tikes on facebook. Besides this wonderful Little Tikes Neighborhood Market, we also like the 6-in-1 Town Center Playhouse. Thank you for the great give-away. 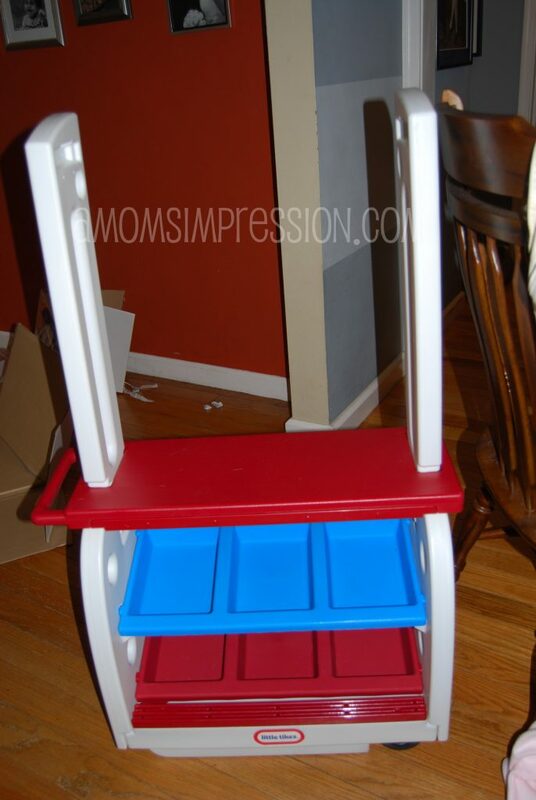 I like the Little Tikes Prep N Serve Kitchen. I subscribed to Little Tikes newsletter. One of my favorite Little Tikes toys is the Classic Alligator Teeter Totter! I love the big waffle blocks – very cool toy. I follow you on twitter and tweeted the giveaway today. I left a comment at Wordless Wednesday – Pumpkin Patch post. I also like the Log Cabin on their website…so cute! THANKS! I like the Spray and Rescue fire truck, among many other things! I love the 2 in 1 dollhouse playhouse!! I follow little tikes on FB! subscribe to the little tikes newsletter! I folow on twitter and tweeted! I really love the shopping cart. My daughter plays with it daily. I think the cart will go well with the market. I love their Classic Castle!